Survivors Recall 1927 Michigan School Massacre Two former students of Michigan's Bath School remember a deadly bombing and its aftermath. The school's caretaker planted a bomb in the school, killing 38 children and injuring many others. The Bath School disaster took the lives of 45 people, including 38 children. 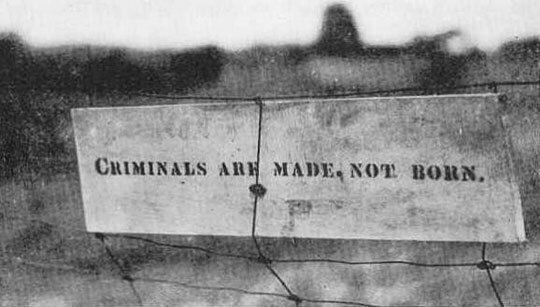 This sign was found on the fence of bomber Andrew Kehoe after the explosions. In 1927, Donald Huffman was a student at the Bath School in Bath Township, Mich.
Bath was "a little farm town. Had [an] elevator, a little drugstore, and you knew everybody within 20 miles," Huffman says. "Back then, that's the way it was." 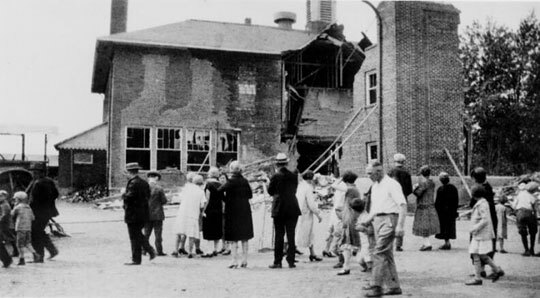 Near the end of the school year, on May 18, an explosion ripped through the Bath School. Huffman lost one eye and part of his cheekbone, suffered compound fractures, and ended up with "lots of scars, lots of scars all over. I was just messed up." He was 9 years old. 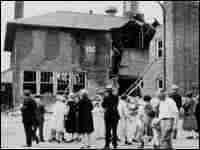 Andrew Kehoe, a local farm owner who was also the school's caretaker, had planted the bomb at the school. Kehoe had been angry about property taxes used to fund the school. He burned down his farm that day, and then blew up his car, killing himself and five other people. 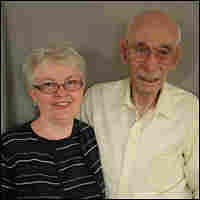 "Everybody was hard-hit," Huffman, now 91, remembers. "Everybody." 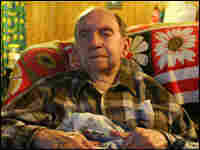 Willis Cressman, now age 97, was another student at the school. "You wouldn't think a church member could do such a thing, would you?" Cressman says of Kehoe. "He was the caretaker of the school. In fact, I saw him that morning. He was working on a door, and he smiled at us as we walked in." Cressman's sister, Wilma, was also at the school that day. Wilma's daughter, Johanna Cushman-Balzer, remembers seeing many people around town who had been maimed in the bombings. 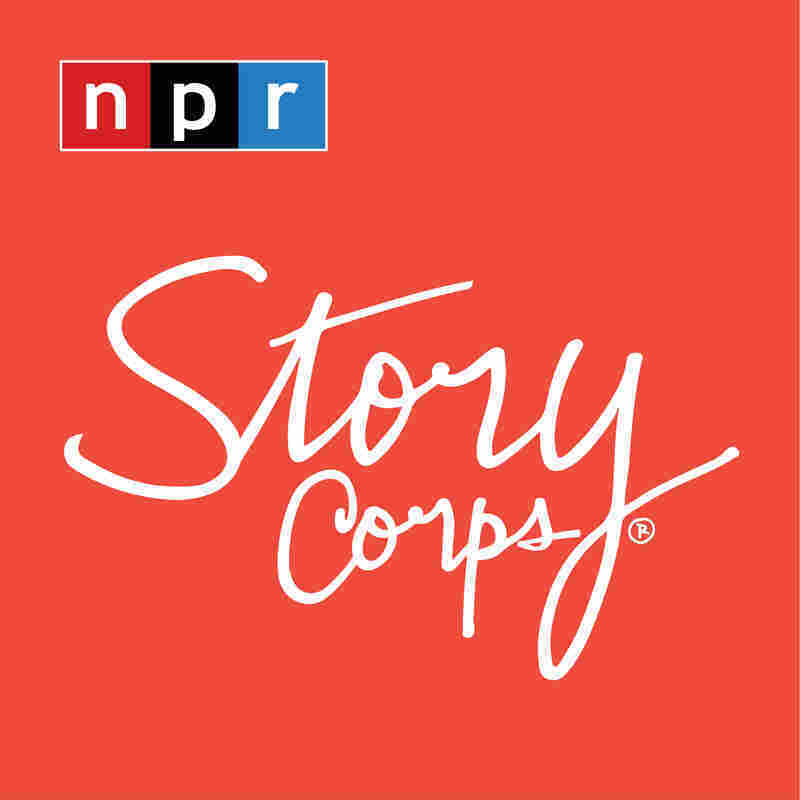 "As a curious child, you might ask, 'What happened to that person, why did they have that bad scar?' " says Cushman-Balzer. "And [the answer] was always that they had gotten it at the Bath School disaster. So you just didn't ask questions." Cushman-Balzer says, "Years later, we still look at ourselves as survivors. So you look after one another differently, because you know that the absolute unthinkable can happen, even going to school."